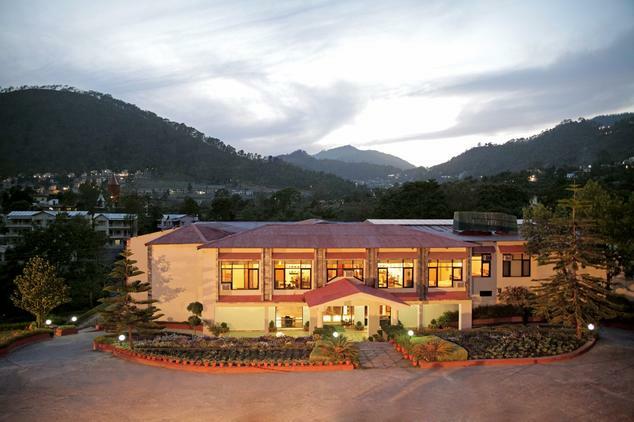 Rambling over a large area of 12 acres land, Hotel Country Inn of Bhimtal is an easy access stay to famous Bhimtal Lake of the city. With a 4-star ranking label, the hospitality of the hotel always stays hungry to make the holidays of its guests, a memory for lifetime. 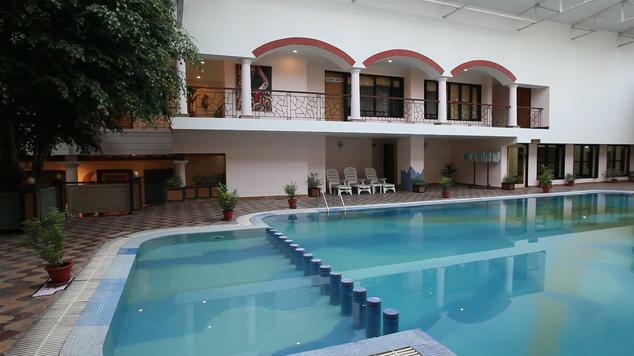 Providing a variety of accommodation for different occupancy needs of guest, the hotel has large premises with amazing recreational place like spa, fitness centre and gaming room. 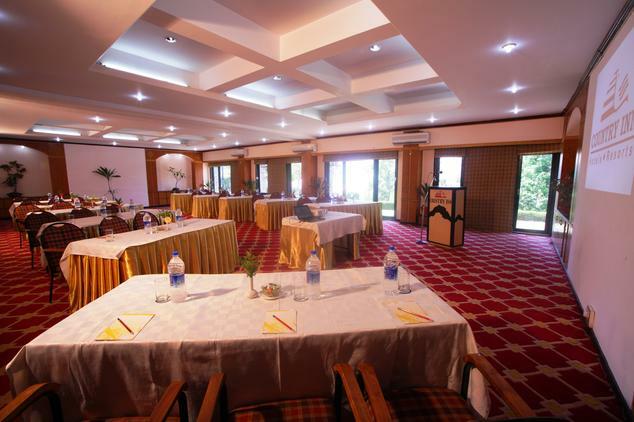 And to cater the need of meeting and conferences of its corporate travelers, there is a large conference hall established in the hotel. 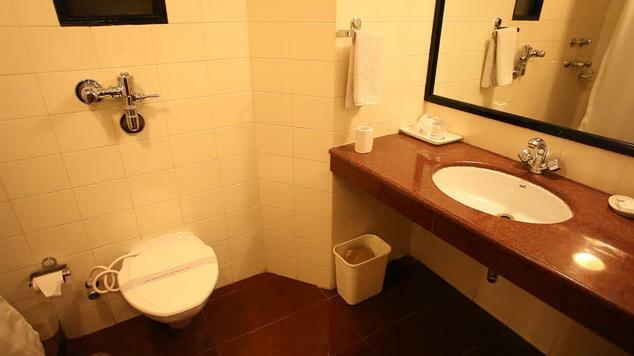 The other essential and class facilities offered by the hotel includes doctor on call, laundry service, car rental service, travel assistance and hi-speed internet access at some public places in the hotel. 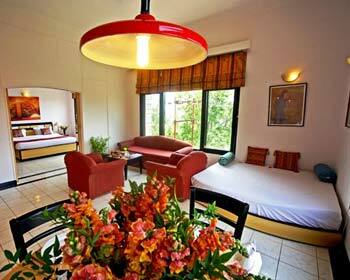 Perfectly matching the accommodation requirement of a couple, the luxury deluxe rooms are very spacious and hygienic. Featuring twin bed furniture for the utmost comfort and luxury of the guests, the rooms give a pleasant stay and homely atmosphere to its guests. The other standard amenities of the room include a TV, coffee/tea making machine, daily newspaper, complimentary mineral water bottles and round the clock room service. Built with appropriate space to accommodate a small family or a couple with two kids, Deluxe Suite is the first choice of family travelers. 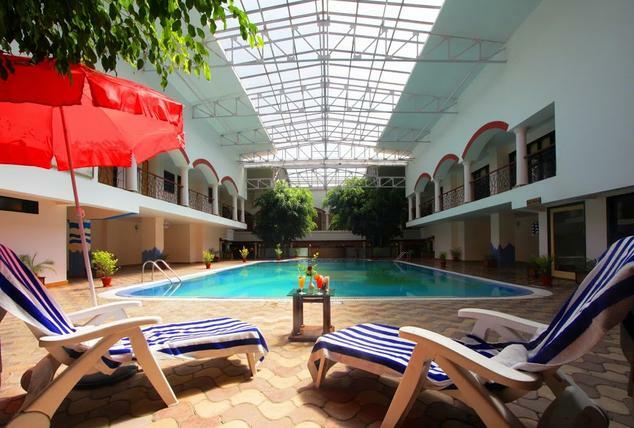 The suites offer either one double bed or twin single bed furniture option for the number of guests and provide all standard amenities like TV, Coffee making machine and complimentary services from the hotel. Designed especially for a group of adults consisting of 2 or more adults, the deluxe cottage gives all the privacy and comfort to its guests. 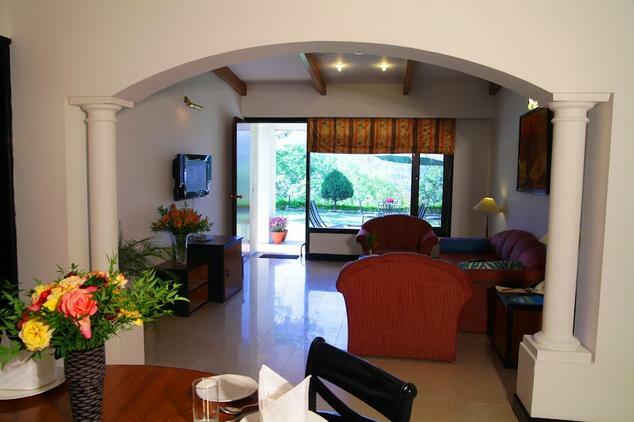 No doubt that the rooms are extraordinarily large and showcase a spectacular view of lush green garden of the hotel. Suites are furnished with all standard amenities like coffee/tea-making machine, TV, 24 hour room service and all complimentary goodies. Accommodating a large number of guests in a single room premises can be very difficult and messy. 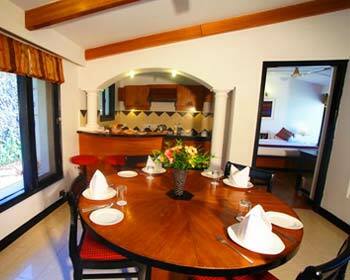 No worries for the guests of Country Inn as the hotel has large 2 bedrooms deluxe suite with all modern amenities. 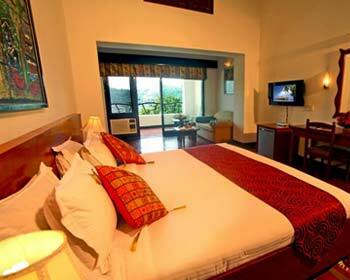 The 02 bedroom deluxe suite can easily accommodate two couples with kids or large group of guests. A range of basic amenities provided in the room include TV, coffee/tea making machine, complimentary newspaper and round the clock room service. 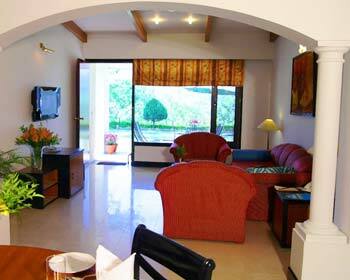 Overlooking the lavish green lawns of the hotel, the two bedroom deluxe cottage is extremely pleasing and spacious. The rooms feature a sofa style sitting set-up in the giant rooms and provide all modern amenities for a memorable stay of the guests. 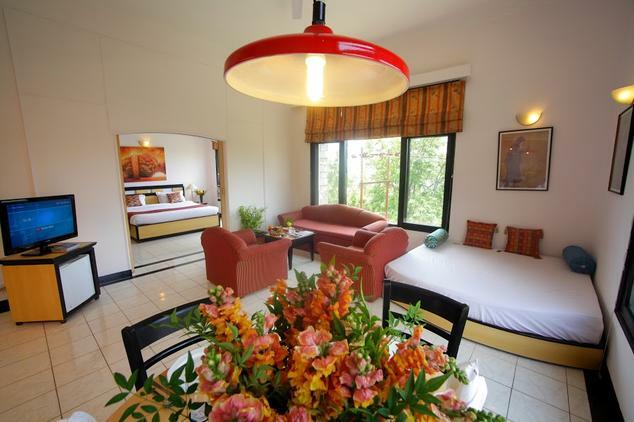 In the well maintained arrangement of 2 bedroom deluxe cottages, the basic amenities like TV, tea/coffee-making machine and all complimentary services are available at any time. 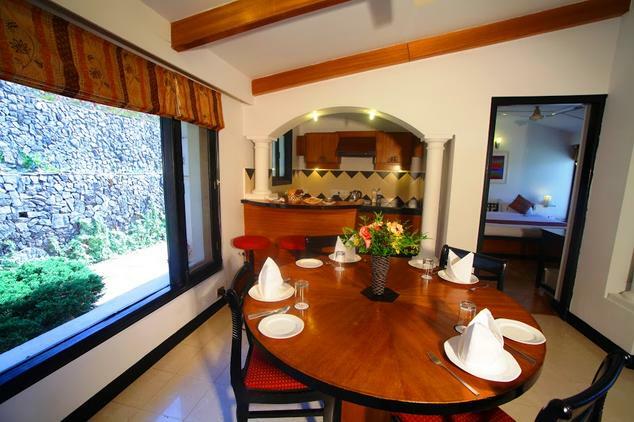 The 59 rooms and cottages are incorporated with the latest amenities for a hassle free stay. 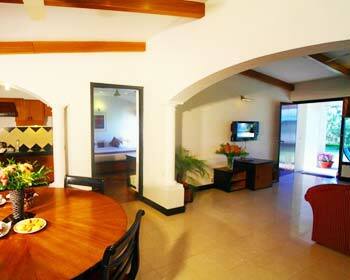 The cottages have private sit outs and comprises of a drawing room and a bedroom. The rooms are done in subtle colors and with tasteful upholstery and trimmings. 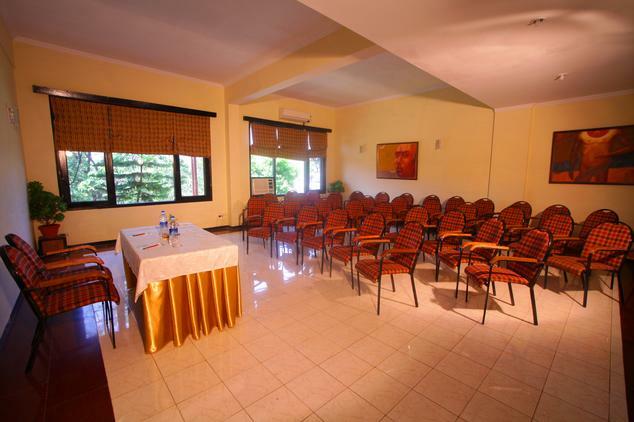 The deluxe rooms with working tables are ideal for corporate clients. 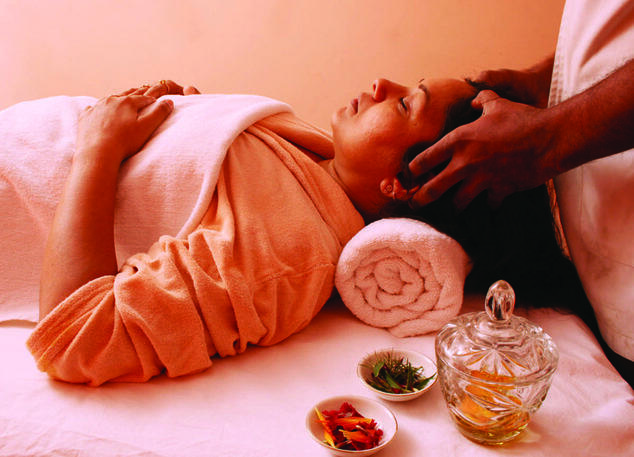 In winter room heaters are provided in the rooms at some nominal charges. 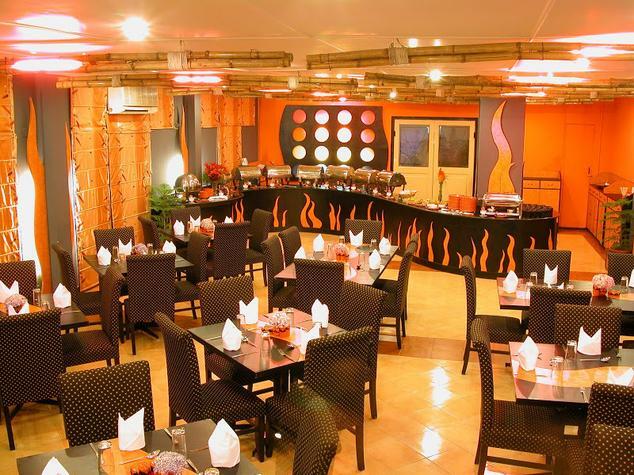 To savor the hot and scrumptious food in the warmth of the sun in freezing winter season, Flames is best dining place of the Country Inn hotel. Presenting the variety of delicacies in buffet style, the restaurant has an ambience filled with natural winds and nature's beauty at its best. 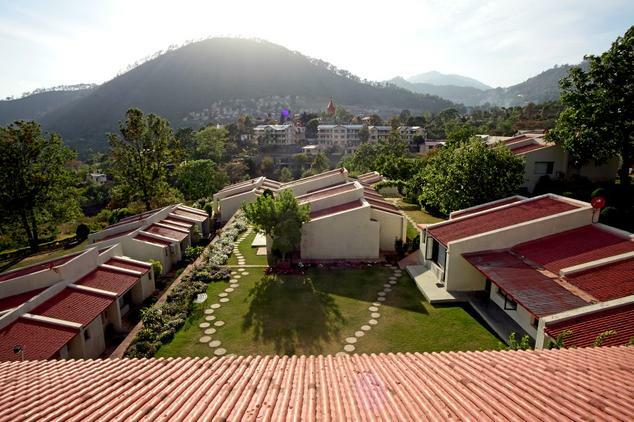 Breakfast and dinners in the open landscaped lawn of the hotel is a great dining experience for the in-house guests. Guftgoo, an Indian word meaning gossip is the best way to define the basic motto of the Guftgoo restaurant of Country Inn. The Indian restaurant offers dishes from the wide range of A-La-Carte menu and the chefs happily invite their guest's personal tip for customization of dishes as per their wishes. Dining arrangement placed on the pool side of the hotel gives Guftgoo restaurant a romantic touch to the dining experience of newly wedded couple guests.